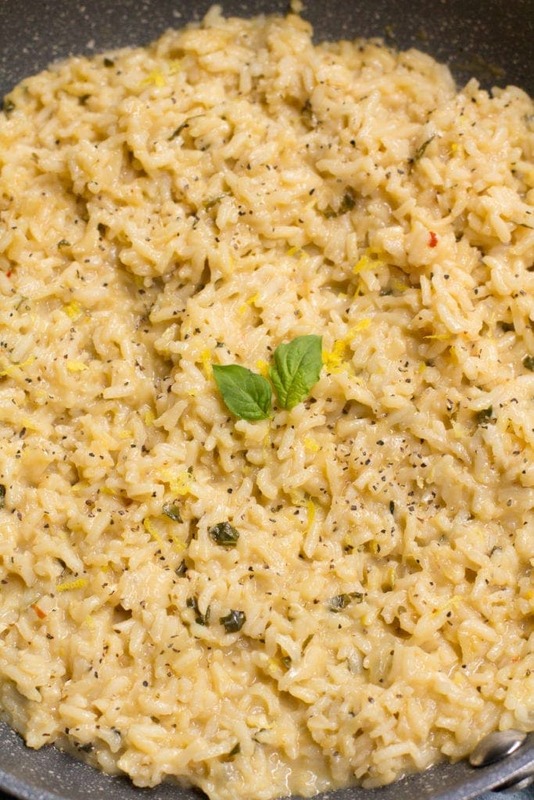 Healthy Lemon Basil Risotto is the perfect lighter, gluten free side dish. 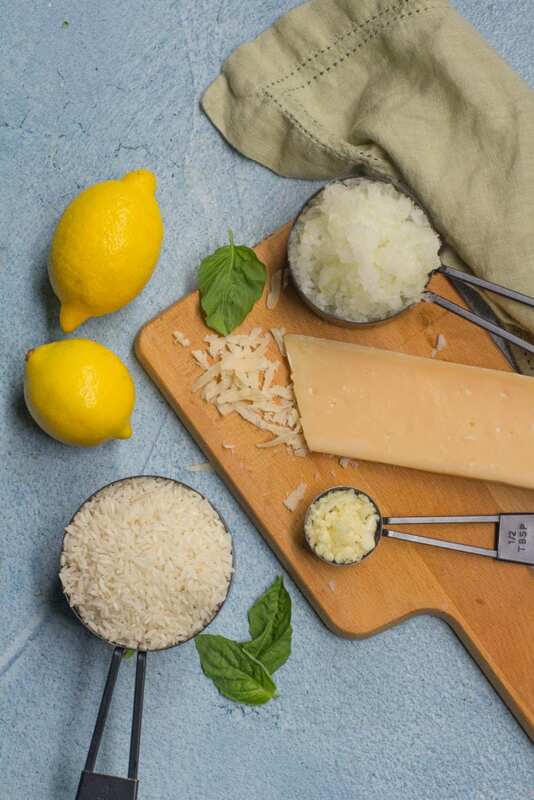 The combination of lemon zest and fresh basil gives it a rich, delicious flavor! 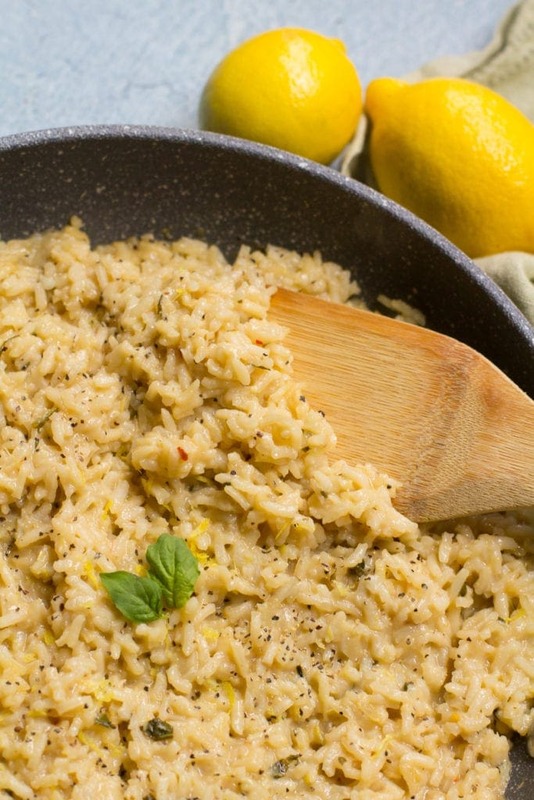 This Healthy Lemon Basil Risotto is the perfect side dish that feels decadent while being made with great ingredients! It has light lemony flavor + is super simple to make. Perfect when served alongside Lemon Rosemary Crockpot Whole Chicken or your favorite roasted veggies! Before I started my site, I had never made risotto because I always thought it was really labor intensive. I had heard that you need to cook it for hours and use loads of butter/heavy cream to make it taste yummy. One day I decided to give it a try without using loads of unhealthy fats and without spending all day slaving over the stove. And it came out so yummy! 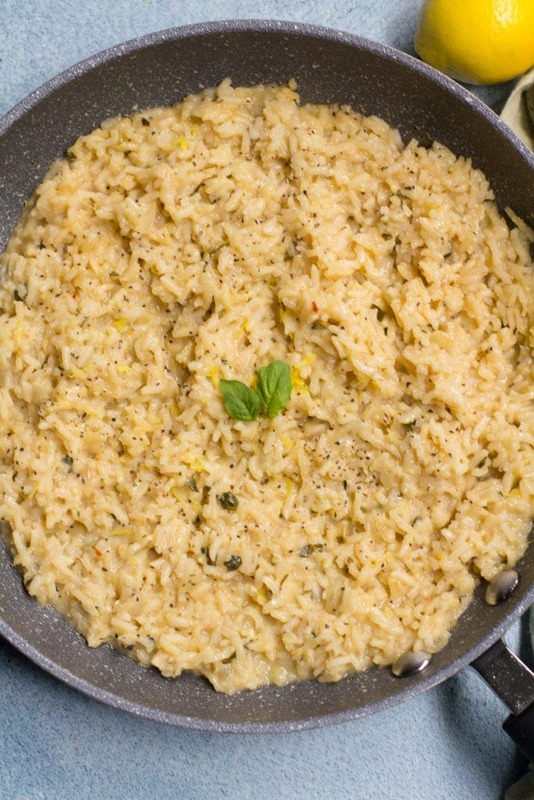 What makes this risotto healthy? Minimal ingredients– This recipe only has 10 ingredients, all of which you probably already have in your fridge or pantry! 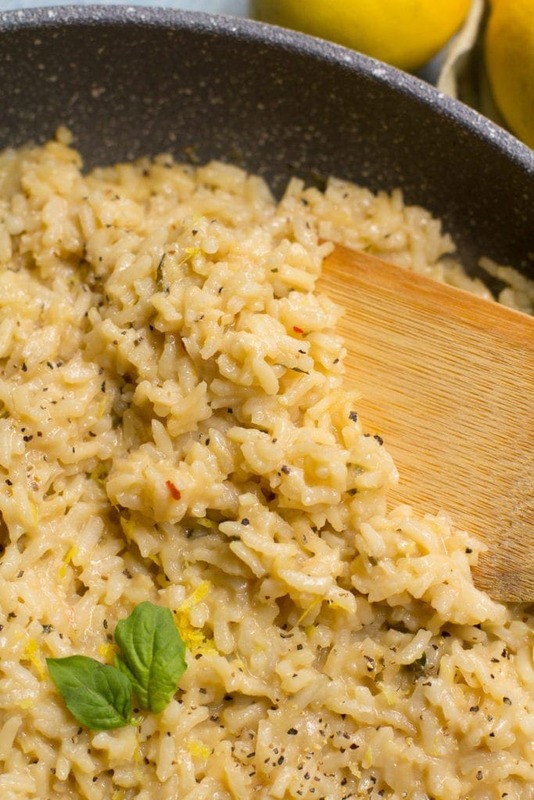 Be sure to cook the risotto low and slow – you don’t want to over cook it! You can substitute basil for your favorite herb. Parsley, sage or oregano will all be delicious! I highly recommend using fresh herbs! Heat olive oil in pan. Add in onions and garlic to olive oil. Sauté until translucent, about 5-8 minutes. Add in rice, 2 cups of broth, wine and bring to a boil. Once boiling, reduce heat and simmer for 10 minutes on high until the rice starts to absorb the liquid. 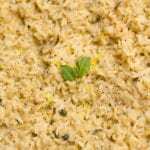 After rice has simmered, stir in remaining broth, cheese, herbs, lemon juice, lemon zest and spices. Stir constantly on medium heat for 5-10 minutes until rice has absorbed all liquid and is creamy. Remove from pan, top with chopped fresh basil (optional) and enjoy! Looks and sounds fantastic! I’ve never made risotto either! This would be lovely with long grain brown rice! Thanks, Cassie! It’s very simple to make. I bet it would be delicious with long grain brown rice! This looks so fresh and delicious – and easy too! We loveee risotto and make it with a whole lot of different flavours and adds ins, however, Jesse’s favourite has to be my boscaiola risotto with ham, mushrooms and scallions! Thank you! That sounds amazing! I’m going to try this recipe with mushrooms next time – I feel like that would be fantastic! So simple, but I’m sure delicious! I will definitely be trying this! This sounds simply delicious and refreshing! I’ve made lemon risotto with asparagus or peas but never thought to just add basil, and I love basil! thanks for the recipe! that sounds delicious! and perfect for summer! I love risotto and haven’t made it in a while yum! Then you should try this one! Lemon basil is such a delicious flavor combo. Very spring-y! Yummy! I will definitely be making this! This looks so delicious! I love Basil & I can’t wait to tty this risotto!!! Oh yum! This would be so yummy on a hot summer day. Lemon is so refreshing, and I have a ton of basil already! Exactly!! It’s perfect for the warmer weather! I love risotto! this looks delicious and i love the mushroom idea for next time. Thanks Anne, I can’t wait to try it with mushrooms! 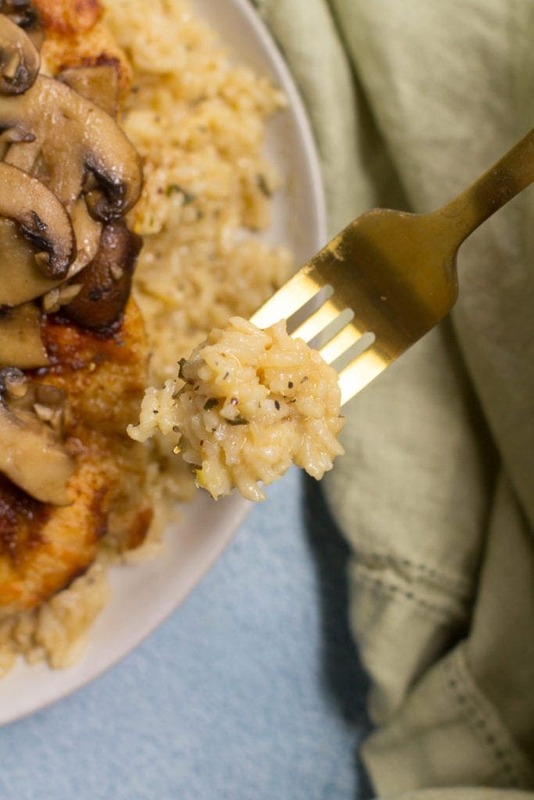 I love a good risotto, so I’m glad you found a way to cook it more quickly! Oh HECK yes I want!! Pinning right now. This sounds SO amazing with that light taste of lemon and fresh basil. You are killing it! Thanks friend!! The lemon and basil combo is ahhhh-mazing. Haven’t had risotto in some time. This recipe might change that. Thanks! So glad to hear it, Matt! I hope you love it! Found this looking for dinner ideas for my family…so happy I found this! Great recipe. So glad you liked it, Alyssa! !